Health care facilities are increasingly using real-time location systems (RTLS) to track the location of patients and valuable equipment, as well as safety initiatives such as hand hygiene compliance. A report published last year by MarketsandMarkets predicted that the RTLS market for health care is expected to grow to $3.12 billion by 2022, at a compound annual growth rate of nearly 24 percent. Several companies offer RTLS, in which battery-operated tags provide constant location information, while some offer active and passive radio frequency identification (RFID), which provides location data at fixed points. Others provide the software, and also bridge the divide between data and analytics, part of a trend toward using the data to help hospitals improve workflow and outcomes. The following is a guide to help you take stock of what several companies provide and what’s new or on the horizon. CenTrak, which has health care clients around the world, supports a wide range of health care applications through its Enterprise Location Services offering, including asset tracking and management, staff locating and safety, environmental monitoring, patient location and hand hygiene compliance. 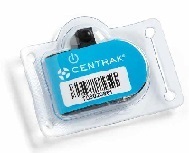 Recent developments for CenTrak’s Enterprise Location Services platform include both single-use and 31-day versions of the company’s RFID tags. The tags, housed in smooth pouches that can be easily sanitized, are color-coded by month and can be reused over 31 days. This makes the tags less expensive per use, says Will Lukens, CenTrak’s chief commercial officer. The company has also responded to the adoption of Bluetooth technology in smart-phones and mobile devices and, in 2015, added Bluetooth Low Energy (BLE) to its RTLS platform — which already utilizes second-generation infrared and Wi-Fi — allowing a connection between CenTrak’s RTLS system and other devices. GuardRFID offers an active RFID technology platform for health care applications that includes its Asset Tracking & Location Solution, a patient flow management system called AllGuard, infant and pediatric security called TotGuard and wandering patient and staff duress with its SafeGuard solutions. The systems have evolved over the years based on customer demand, says Doug Stevens, the company’s vice president of sales and marketing. “We started with just a few different tag types for infant and assets and now we provide over a dozen tags for various applications,” Stevens says. The company has also developed an HL7 integration based on the Integrating the Healthcare Enterprise (IHE) initiative, which allows it to send location information to patient care devices and to electronic medical records (EMR) software. It will be demonstrated at the HIMSS Interoperability Showcase exhibit.